Wait For It… Disney Lines! I told you there were two things that set Disneyworld apart for me from any other theme park. One was the hunt for Hidden Mickeys. The other was the way Disneyworld turned standing in line into another fun activity. Even walking to the lines was fun. In honor of “Frozen,” they made it snow! But after you’ve shelled out hundreds of dollars to get into the park, you don’t want to miss any rides, either, so you resign yourself to standing in line. Luckily, Disney has figured out how to make it less miserable. In fact, sometimes standing in line for the rides is actually fun! 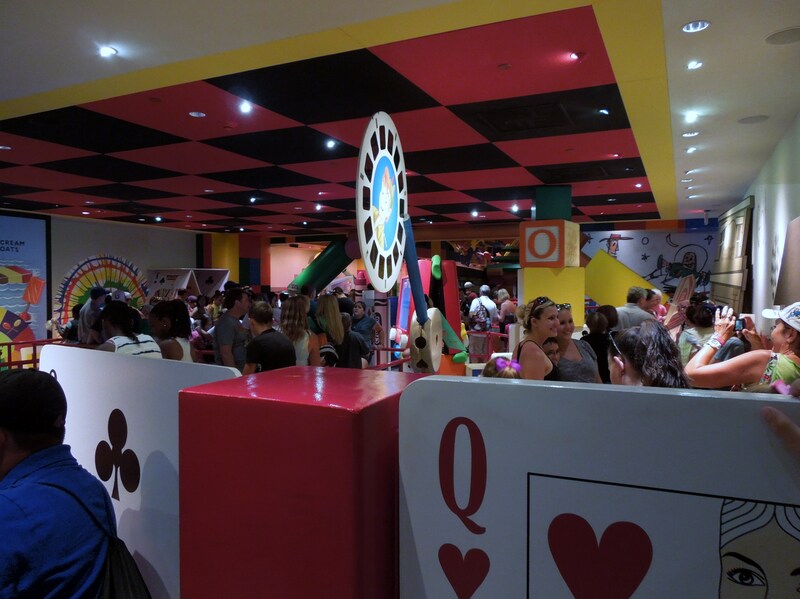 Many of the more popular rides have interactive games to play as you shuffle slowly through the queues. 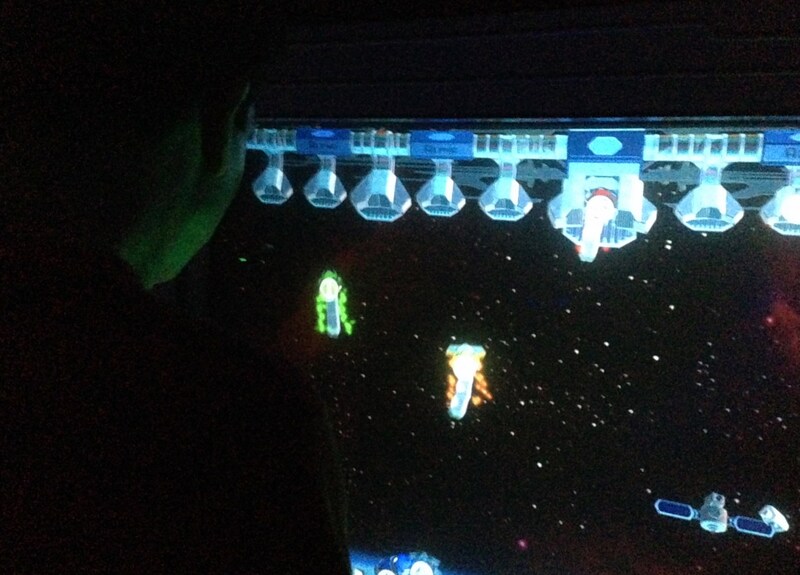 There’s this space game, reminiscent of old Atari games, that you play against other people standing in line as you inch along toward Space Mountain. 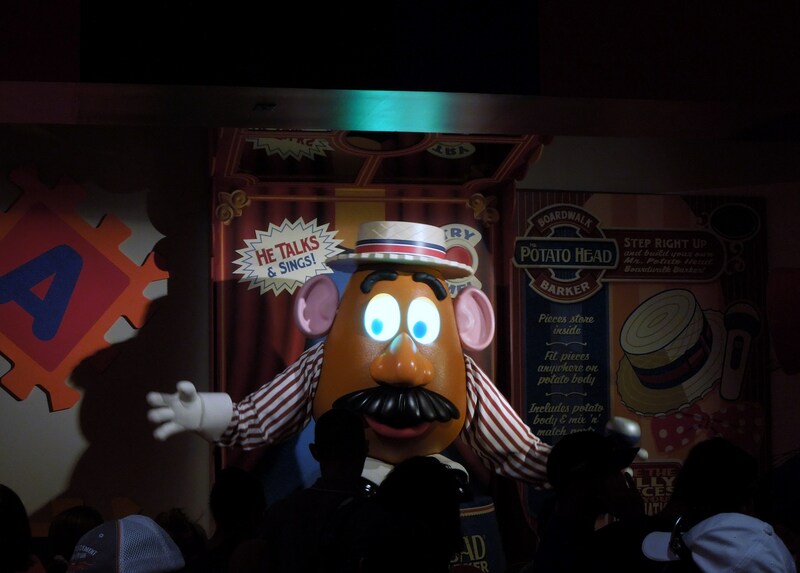 The line for the Toy Story ride is a homage to games and toys that children have loved for years. You can answer trivia questions that appear on a gigantic Etch-a-Sketch, listen to Mr. Potato do a stand-up routine, and reminisce about all the toys you loved to play with as a kid. 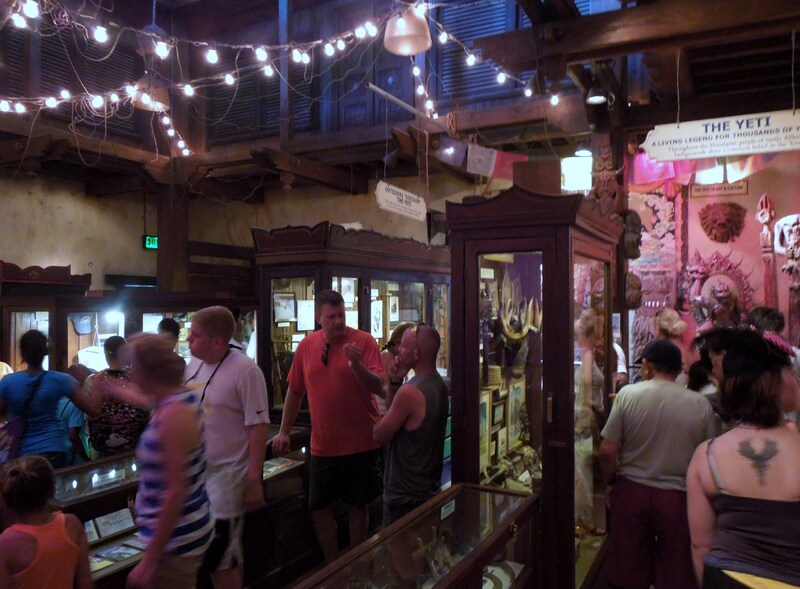 The line for Expedition Everest was set up as a Yeti Museum with glass cases full of artifacts and articles about Yetis. Even outdoor lines can be enjoyable. Most are shaded have things to look at and play with, or mist that cools you down. Disney’s Imagineers know how brutal the Florida sun can be in summer and they’ve managed to make you forget all about it. Standing in line is still hard on the feet, but not the spirit. It makes me wish the post office would come up with some kind of fun activity for the lines that I always encounter there. What lines would you like to see Disney-fied? Yes! Passport lines. And security lines. Miserable. 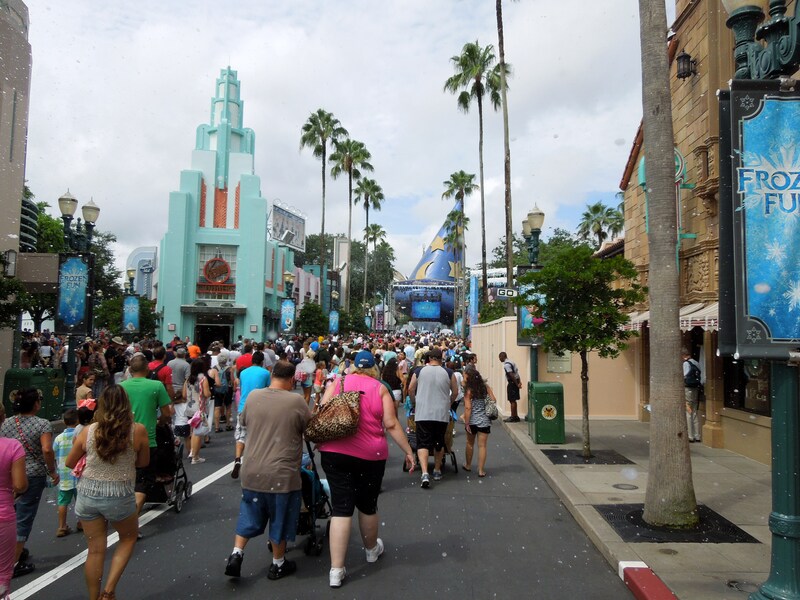 I loved the fast passes — until I was on the other side, seeing all those people walk past me while we waited. And waited. And waited. We landed at Orlando with our daughter hobbling badly after turning her ankle. On Day 1 we grabbed a wheelchair and got promoted to the front of each queue – the staff were brilliant! On Day 2 she was much better and was mortified to be made to sit in the wheelchair again! 🙂 I won’t say it in Dublin. Sorry to hear that your daughter needed a wheelchair, but glad it wasn’t anything serious and that you got to move to the head of the line! We didn’t have any small children in our party so missed this ride. But I’d say especially for the smaller children, having something to occupy them while they wait in line is a MUST! Who knew standing in line could be so much fun. All sorts of institutions could take a leaf from their book! I haven’t been to Disneyland (the one in California) in a while but last time I was there, the lines definitely weren’t as fun as these ones in Disney World! I think any sort of special event lines could do with some Disney-fying. I was at a convention/concert last month and getting in took 3.5 hours (mainly due to too many people and bad organization). We definitely could’ve done with some entertainment of some sort (and shaders too!). Wow. 3.5 hours? That’s insane. Definitely need entertainment for something like that. Maybe even someone passing out hors d’ouevres! I’m so glad to hear that. The lines would be a real deal-breaker for us otherwise. To be honest, 75 minutes still sounds like a long time… but some of the shorter ones might at least be doable.